First, let's take a look at acids and bases. It's important to understand the ocean is not becoming acidic, even thought its pH is changing. "Acidic" sounds scary and it's not an accurate word. 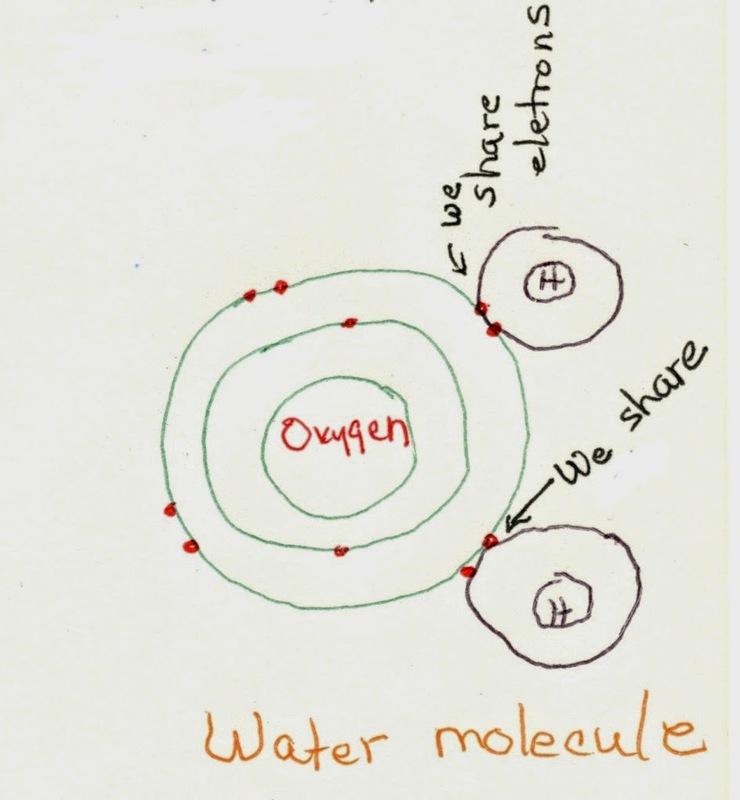 Now, these ions have unequal amounts of electrons and protons (The hydrogen ion has 1 proton, no electrons and the hydroxide ion has 7 protons and 8 electrons). The amount of H+ determines the pH. What is pH? 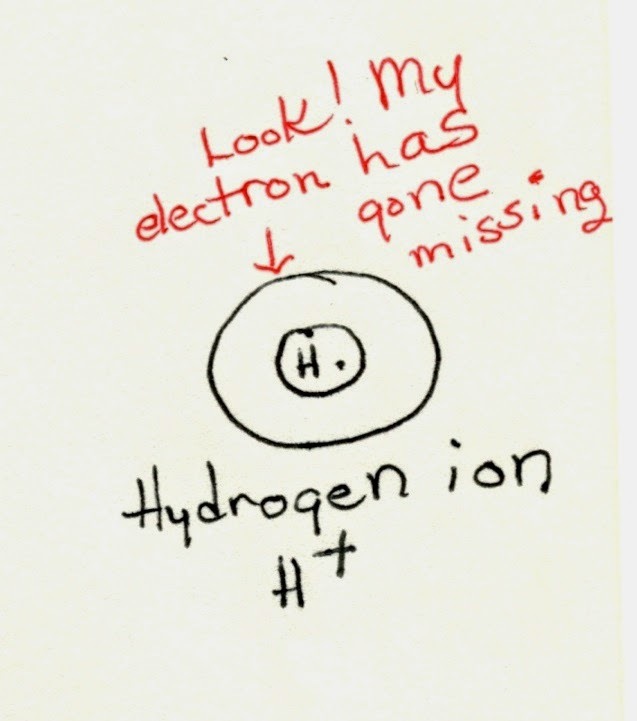 In scientific jargon, pH=-log [H+], or the pH is equal to minus the log of the H+ ion concentration. (Wow! That made no sense at all!) If we look at a more simple explanation, the concentration of H+ determines the pH for acids. (Thank you, that's easier to understand.) pH goes from 0 (extremely acidic) to 14 (extremely basic/alkaline). Let's look at some examples of pH. As you can see, many common liquids have a pH much lower than sea water. Only when you get to stomach acid and battery acid do you see the "scary" side of acids, the ability to damage skin and inorganic materials. (Of course you can't really see stomach acid.) There are chemical acids that can harm you--ocean water is not and will not be one of them. If you mix an acid with a base in equal amounts, you get water and salt. nearly all the Hydrogen separates from the Chlorine in water. There are various concentrations of HCl which can range from low to very high. A very high concentration would be quite corrosive. 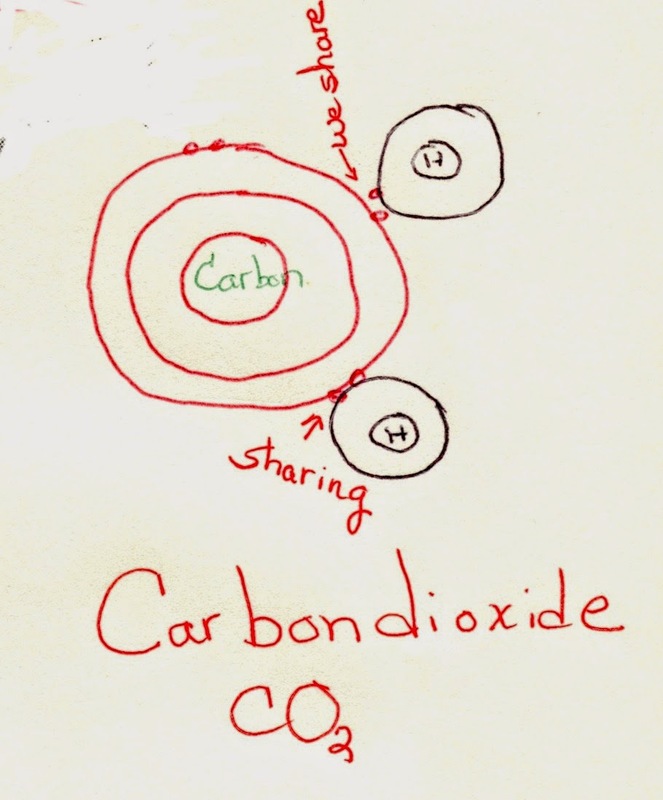 The concentration of carbonic acid in the ocean is around .3 to .4 %. 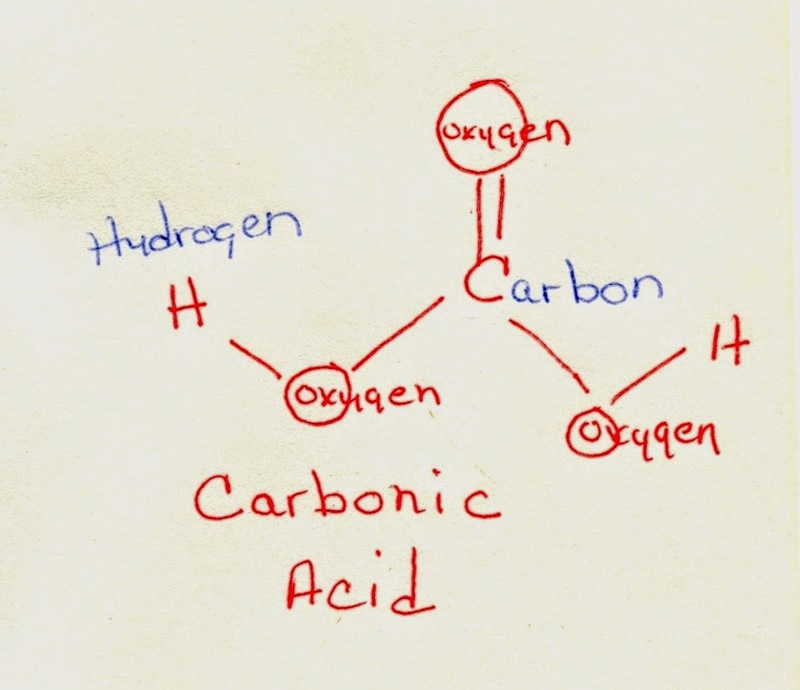 Carbonic acid is a weak acid. 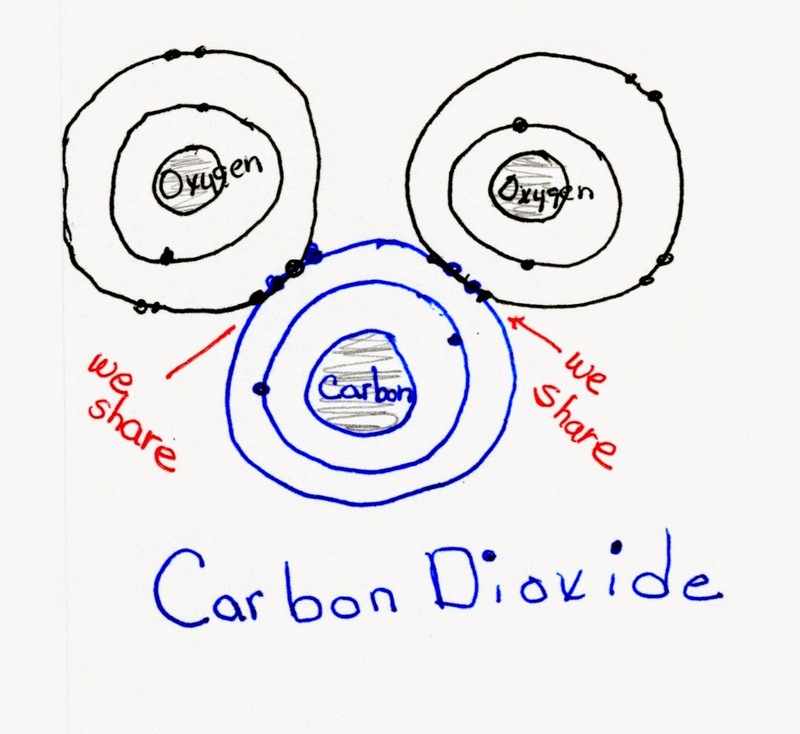 Most CO2 just dissolves in water, remaining as CO2 rather than becoming carbonic acid. Acids and bases can be harmful due to strength, concentration and what they are made from. 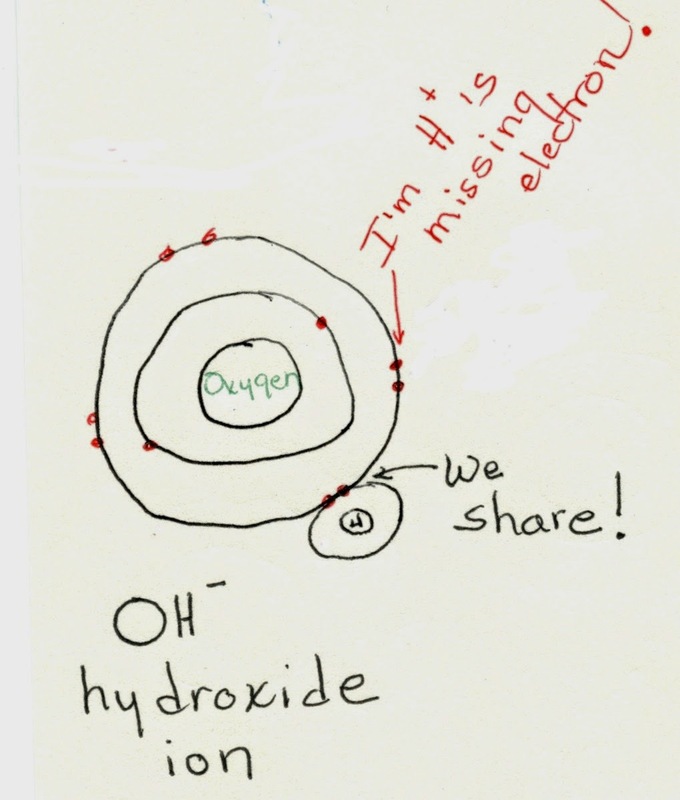 As we just learned, hydrochloric acid (HCl) is very strong—virtually all of the hydrogen and clorine separate in water. Concentration is the amount of the acid in the solution. If you put 2 measures of hydrochloric acid powder in a quart of water, that is less concentrated than if you add 10 measures of powder in a quart of water. The concentration is dependent on the person mixing the solution. Acids that form with chemicals like cyanide are harmful because of the cyanide molecule. Cyanide is extremely toxic. That's all for now on acids and bases.